Our PCA Professional™ Signature Facial is an excellent first-time treatment and a great choice for guests that do not want to experience peeling. This facial calms, soothes and strengthens all skin types and conditions. It starts with a warm compress to open your pores, then intensively cleansed using a pH balanced cleanser which is followed by either a smoothing or nutrient toner based on your particular skin type. An exfoliant is then gently applied to assist with extractions after which your skin is toned again. 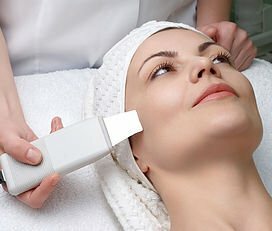 A detoxifier is applied with a gentle facial massage before the corrective phase which begins with the application of a custom-blended serum that provides your particular skin the nutrients, pH balance and SPF protection required to rejuvenate and return to its natural, most-healthy and youthful condition. For best results we recommend that skin treatments be repeated every four to six weeks.